The Journal of Energy in Southern Africa (JESA) is published by the Energy Research Centre and offers mostly papers covering the technical, economic, policy, environmental and social aspects of energy research and development carried out in, or relevant to, South Africa. The Potchefstroom Electronic Law Journal is published by the Faculty of Law, North-West University, South Africa. Contributions relevant to any aspect of law are welcomed. 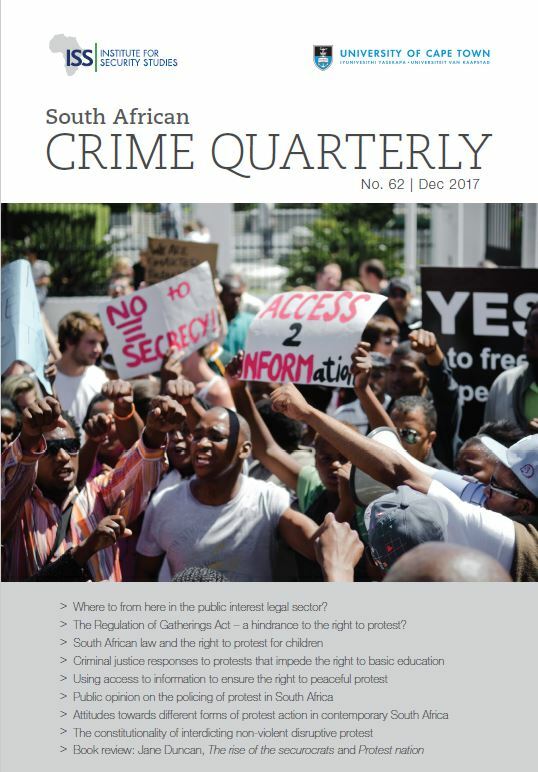 The South African Crime Quarterly (SACQ) is a journal co-published by the Justice and Violence Prevention Programme at the Institute for Security Studies (ISS) and the Centre of Law and Society (CLS) at the University of Cape Town. SACQ presents recent research results on crime, criminal justice, policing, prisons and incarceration, crime prevention, and criminal justice policy and legislation. SACQ aims to add balance and objectivity to the discourse on human security in Africa by providing timely empirical research and analysis to policy makers, area specialists, academics and students. 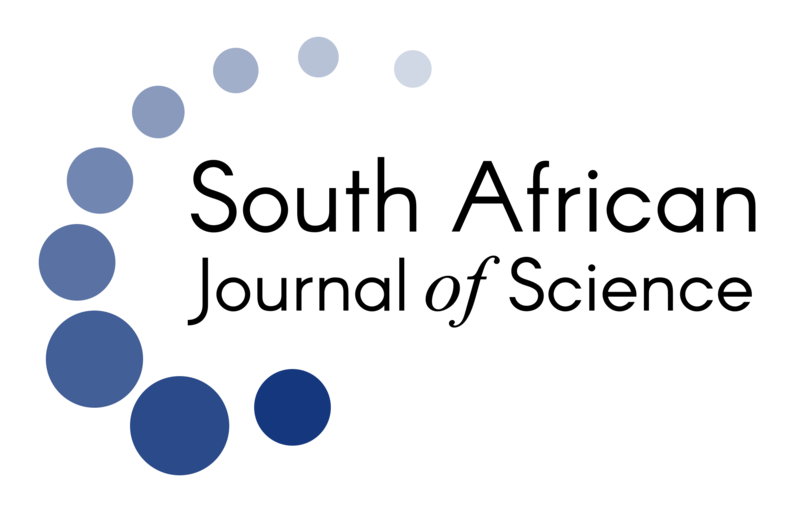 The South African Journal of Science is a multidisciplinary science journal published bimonthly by the Academy of Science of South Africa. Our mandate is to publish original research with an interdisciplinary or regional focus and to provide a forum for discussion of news and developments in research and higher education. The South African Journal of Sports Medicine (S. Afr. j. sports med) is a peer-reviewed journal that publishes original research articles, reviews, commentaries, letters and case studies on topics related to the disciplines represented by the South African Sports Medicine Association. One volume is published a year with articles added as they are ready for publication. These disciplines include sports medicine, biokinetics, physiotherapy, exercise and sports science, dietetics and psychology. Material that is particularly unique and relevant to South Africa and its inhabitants are given preference; however, any other material of general interest and relevance will also be considered. 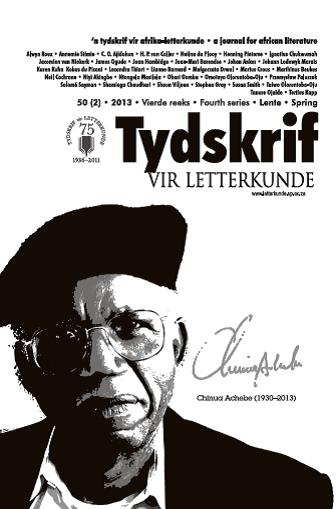 The Tydskrif vir Letterkunde (TL) is a peer-reviewed scholarly journal, published twice yearly by the Tydskrif vir Letterkunde Association. The journal publishes peer-reviewed articles, overviews, review articles, reviews, commentaries on African Literature and Literary Reviews in Afrikaans, Dutch, English and French.